Iwo Jima Memorial or U.S Marine Corp Memorial The statue of the six men raising the American flag on Mount Suribachi was inspired by a protograph taken by Associated Press photographer Joe Rosenthal on February 23, 1945, the fith day of the Battle of Iwo Jima. 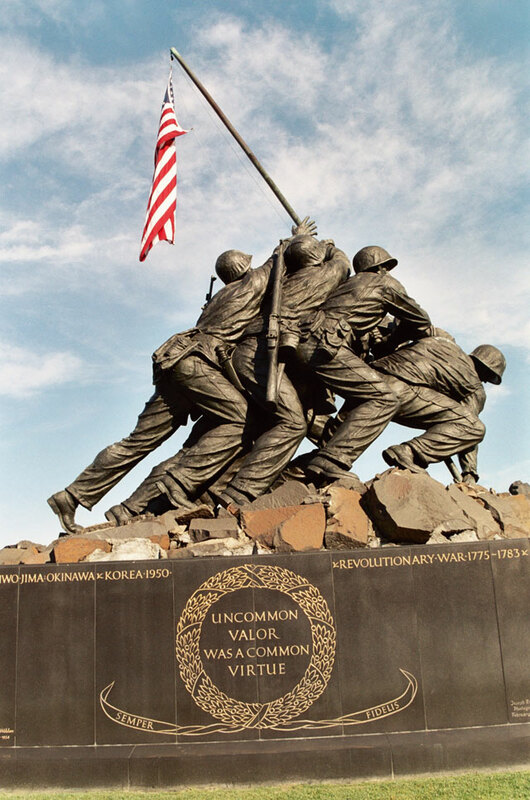 The Iwo Jima Memorial was Dedicated 1954 by President Dwight D. Eisenhower. Felix W. DeWelden created the bronze sculpture.